The bottle and top fit together nicely. That saves time and energy I can apply to my workout. Thanks! The package arrived so fast even I live in Honolulu. Very good service mahalo! THis bottle is awesome in all ways! Q: Is there a way to get these with some sort of personalization? A: Thank you for your inquiry. 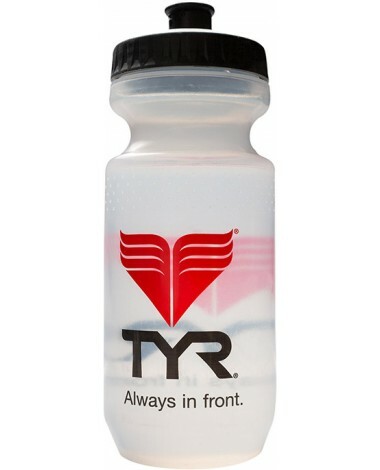 The TYR Water Bottle can be customized, however we do not offer those services direct. We would recommend contacting your local TYR dealer or Printer for assistance. Q: Is it BPA free? A: Yes, our water bottles are made with LDPE, which does not contain BPA. 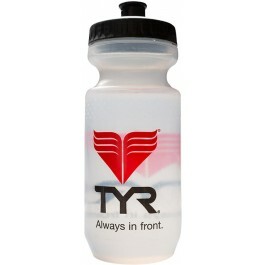 TYR Water Bottle is the perfect go-to option for hydration. A large screw-top rubber valve allows for excellent water flow and food-grade, low-density polyethylene construction, combats the absorption of odors and flavors.